For the last decade, I’ve been a dedicated “Mac guy.” Most recently, I’ve been using a 2015 MacBook Pro as my workhorse computer. It’s been great, but with any good tech, improvements happen fast and my setup has become more and more outdated. Luckily, Apple has finally been updating a slew of Macs from the MacBook Air to the MacMini. My goal was to hold out and buy a loaded 27″ iMac, but so far the iMac hasn’t received any updates. That’s when I began to explore the allure of the new MacMini. Previously, the MacMini was known as an entry-level Mac option. Since it comes without a display, you can just swap out your current PC setup, making it a great transition piece for those new to Mac. However, over the years, the MacMini was put on Apple’s shelf, only receiving modest updates years apart. Many believed it would just fade into the quiet darkness. 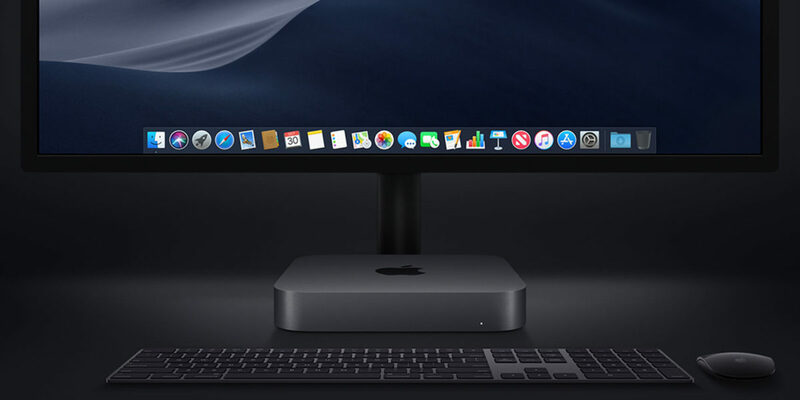 At the Apple Event in October though, the MacMini was announced to have updated specs and a new design. They had me at Space Gray. That’s when I start doing the math. I had already priced out that luxurious iMac, so I had an idea of my pain tolerance on a new machine. Would the MacMini be a viable option? Starting at just $799, it sure was looking that way. 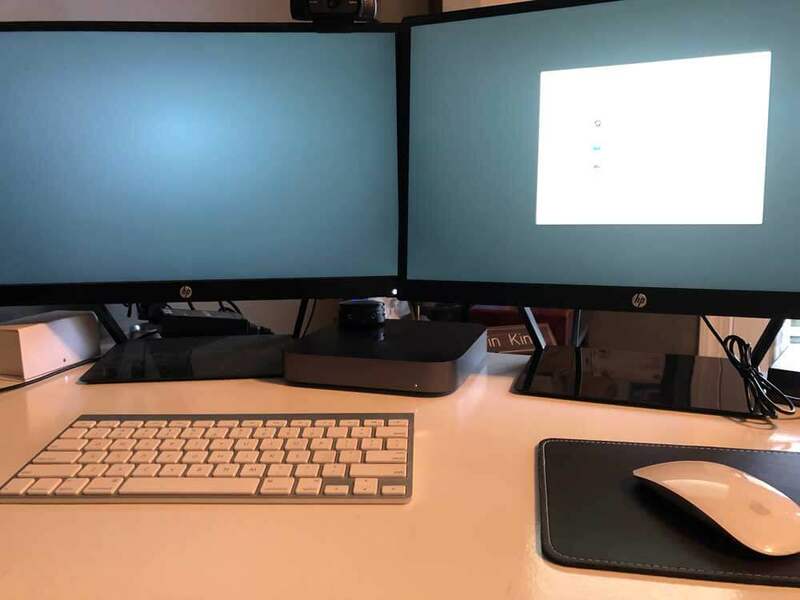 By controlling my display options, I was able to secure a brand new desktop solution with dual monitors for about half the price of a 27″ iMac. New 2018 6-Core processor-based MacMini with upgrades only in the memory department. 8GB just isn’t sufficient for what I generally work on. For most, it is fine. 2 – HP Pavilion 21.5-Inch IPS LED HDMI VGA Monitors. At $95/each [on Amazon] it’s a no-brainer. 2 – USB C to HDMI 6′ cables [$18.99 on Amazon] . Since the new MacMini has 3 USB C ports, going this route leaves me 2 USB, 1 USB C, and 1 HDMI ports still available. 1 – Apple Magic Keyboard [$87.99 on Amazon]. 1 – Apple Magic Mouse [$73.55 on Amazon]. The MacMini is probably the most attractive Mac option available right now. By following my tips above on saving cash in the peripheral department, you can have a heck of a Mac setup on a budget. With the base model starting at just $799, you can have a great setup for hundreds less than a base-model iMac. This option can be a great way for those thinking about switching to Mac to dip their toes in. Or, if you’re like me, you can up the specs to get a real workhorse solution for half the price of a comparable iMac. Either way, the MacMini is worth a second look.